I have had the honor of being the librarian at Good Hope Middle School since 2013. I collaborate and teach with all subjects and specialize in technology integration into current curriculum. I believe that all teens can find a safe way to explore the world through literature and absolutely love what I do! 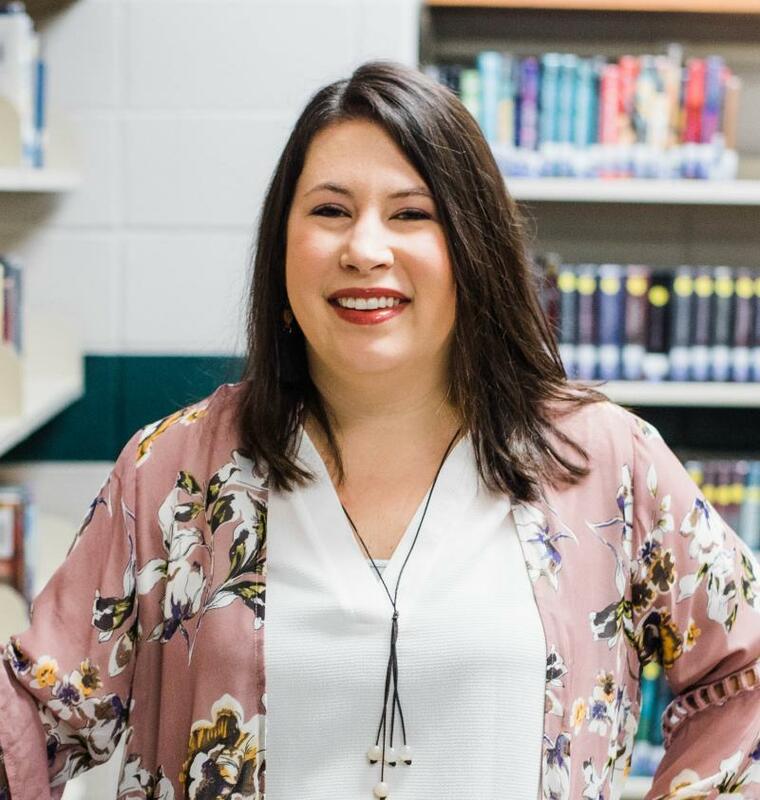 Before Good Hope, I was the Head of Young Adult Services for both Ouachita Parish Public Library Systems and the Lincoln Parish Library. I have been working in libraries in youth services since 2004 and never looked back. It is truly my calling. I also am very involved with our state library association, the Louisiana Library Association, and also with the specialized division, Louisiana Association of School Librarians. I have served in several board member positions, chaired numorous committees, and have been an award winner within my professional organization as well. I have been married to my husband, Michael, for 10 years. We have two amazing kiddos that attend George Welch Elementary and keep us super busy with swim team meets, gymnastics, and frequent trips to the library. We have two awesome rescue dogs, Daphne and Peppa. When I’m not at the library at Good Hope, you can probably find me at one of the hundred practices that my kids have after school, one of the public libraries (I’m a HUGE reader...what can I say? ), or at our church, First West, where my husband and I sing in the choir and work with the youth. I absolutely love what I do and it really defines a lot about me.I believe that libraries and reading have the power to change lives and I have seen it happen multiple times with familes, with teens, and even with my own children. Books represent an escape, a learning experience, and a way to develop empathy at an age where many teens are just beginning to have their own life experiences. I’ve witnessed a Sarah Dessen novel brighten the eyes of an incarcerated teen, causing her to become a lifelong reader and eventually harness the power of libraries to work towards her GED. I’ve witnessed students finding new friends over Jason Reynolds’s novel, Ghost, and argue over how the book ends. I’ve seen familes come together and read books like Wonder by R.J. Palacio and open the doors on a coversation about differences and how to approach others who don’t look like you.